Alexander Webster lived from 1708 to 25 January 1784. He was a writer and church minister who is best remembered for his Account of the Population of Scotland in 1755, generally regarded as being the country's first census. The wider picture in Scotland at the time is set out in our Historical Timeline. 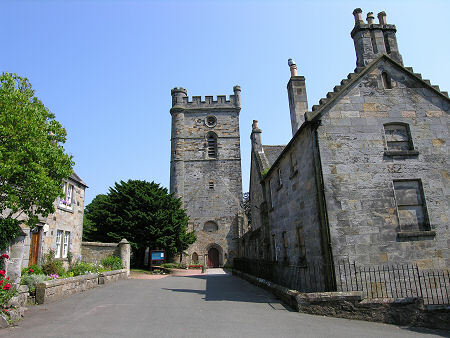 Webster was born in Edinburgh, the son of James Webster, a church minister. Information about his upbringing and education are at best sketchy. What is clear is that he initially pursued a career following in his father's footsteps as a church minister, beginning his ministry in Culross in Fife. While there he met and married Mary Erskine of Alva, the aunt of the lawyer, diarist, and author James Boswell. Alexander and Mary would have a number of children, with the two oldest sons serving in the American Revolutionary War. One of them, James Webster, was a Lieutenant-Colonel in the 33rd Regiment of Foot when he was killed in 1781. Alexander Webster first came to attention when in 1742 he proposed a scheme for providing pensions for the widows of church ministers. He used information collected from presbyteries throughout Scotland in order to produce tables of expected longevity. These paved the way for later actuarial tables and the modern insurance industry. In 1753 Webster was elected moderator of the General Assembly of the Church of Scotland. In 1755 he was asked by the government to collect data for the first census of Scotland. He wrote to the ministers of 909 parishes across Scotland asking for information about their parishes, including the religious breakdown of the population; the total number of inhabitants; the number of men of fighting age; and an overall breakdown by age. It was not a census by modern standards, but it provided the best snapshot of Scotland's population that had been available until that time. Webster's wife Mary died in 1766. In in 1771 he was appointed a dean of the Chapel Royal and chaplain to George III in Scotland. 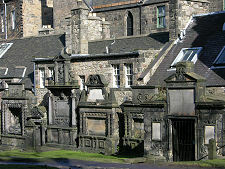 Webster died in Edinburgh in 1784 and was buried beside Mary in Greyfriars Kirkyard, in a grave that is no longer marked.